What to do in Vienna to have the best possible time? Go for what it is known for, by travellers and by locals: Classical art and music, coffee and cake, historic palaces, hanging out in beautiful locations, gift shopping from classical to quirky, great Central European food and wine. If you have been to Wien before or plan an extended stay, check out my insider tips in Vienna Austria: 10 Off Beat Travel Tips. My friend Veronika spends an entire day in ONE Vienna museum. Lock her up there and she won’t even notice. YOU may not be that type. Instead, focus on various museums to get a mix of classical and contemporary art, local history, imperial and popular culture, textiles and furniture, and music. Many of the best museums are housed in splendid palaces. Access my shortlist of the best Vienna Museums. What will you particularly enjoy doing in Vienna, because it is special to this place? Definitely watching baroque white horses perform 400-year-old horse training traditions, talking to a local in the style of Viennese coffeehouse debates, having a ride in the Giant Ferris Wheel, visiting an operetta, and waltzing at a lavish ball. 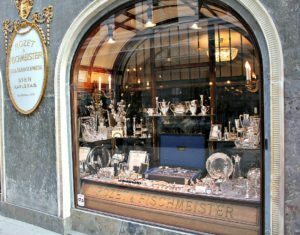 Get the full listing of my favourite Vienna Attractions. Some independent first-time travellers do visit much the same sites as I do when back in my homecity. Other than Heurigen (wineries), I re-visit places like Schönbrunn Palace, Augarten, and certain rooftop cafés in the city centre. And I always look for a reason to get into a tramway along Ringstrasse. There are many more sites that I think we both like…go to Vienna Sightseeing to get ideas. Like any compact, historical and safe city Wien lends itself to walks. Especially the city center – a UNESCO World Heritage Site – is packed with amazing townhouses, palaces, coffeehouses, restaurants and shops. Then there are charming neighbourhoods like Neubau or Josefstadt that one best discovers on foot. I have collected six of my favourite walks through Wien, including maps, for you to follow my traces: from an Old Vienna Walk, to seeing Art Nouveau, exploring historic courtyards, seeing Vienna by night, and more. Go to Vienna Walks. By the way, the Vienna Municipality provides a great map including several mapped out city walks. Sometimes I visit classical concerts and operas in other European cities. I don’t know what it is, but it’s not quite the same. 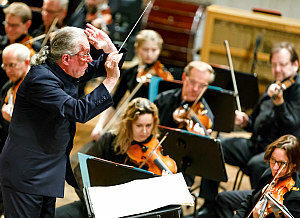 Good concerts in Vienna are performed by top orchestras such as the Wiener Symphoniker or Vienna Philharmonic Orchestra, or exquisite chamber music ensembles. They take place in glamorous Old World locations, from baroque churches to traditional concert venues. 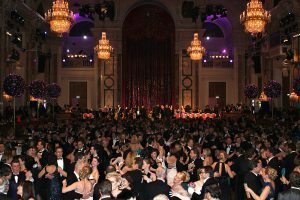 Find out more about choosing the right Vienna Concerts. If you love a particular type of music – whether classical, baroque, jazz, Jewish or contemporary – choose a local music festival. Each year, the ‘city of music’ stages a good dozen festivals that condense different music events into a rich schedule. What I love most about them is the festive spirit of the grand opening events, which are mostly free. To get an idea of what will be on during your stay, use my Vienna Music Festival Guide, listing my favourite local festivals. A night at the opera is a classic in my home city. Visit Wiener Staatsoper and you’ll meet everyone, from elegant international travellers on their first time visit to local subscription holders of standing tickets bringing along their dinner sandwich. At the Vienna State Opera, performances sell out on average 98 percent. Quite a few people think that the best tickets are the most expensive. They get on ticket waiting lists. And don’t know that the other three opera houses provide great plan B’s. As a native, I’ve been to the various opera houses many times. Let me share a few tips in Vienna Opera House. Shopping in Vienna has become a selective art since I visit my hometown only a couple of times per year. I want gifts, something typical that is authentic, traditional fashion and Austrian jewelry, and sometimes international luxury brands. The shops need to be fairly central yet original. Over the years, I have collected my personal ‘best of shopping’ list. It even includes an insider shopping tour. Find out more in Vienna Shopping. There is an air of excitement whenever I change asphalt for water during a city break. 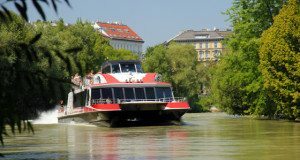 In Vienna and surroundings you can take several boat trips between April and September. You can even visit other European capitals, such as Bratislava and Budapest. Each of these boat trips have a different flair, depending on the surroundings. Read my reviews and find out more about the best local boat trips. Good or bad is not a question of expensive and cheap. You will know that from your own native restaurant scene. The same applies to Vienna restaurants, taverns, snack bars and our popular local sausage stands. 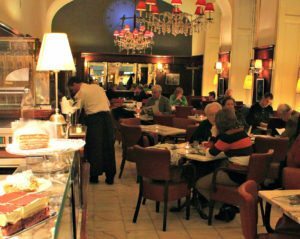 In Restaurants in Vienna, you will find various tips and restaurant reviews. I have also included my favourite private dining places. If you need a restaurant booking site, access my independent review of a great local booking tool that provides up to 30 percent discounts. Our coffeehouse culture is listed as a UNESCO Immaterial Cultural Heritage – though that only partly explains why we love to hang out in cafes over Melange and Torte. 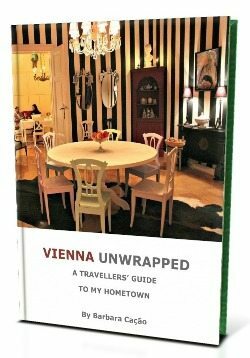 The other part is easily explained, with a couple of examples of my favourite Vienna coffeehouses. 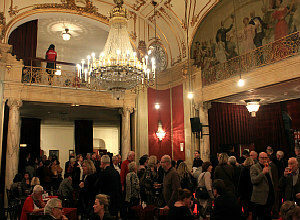 Visit Vienna Coffee Houses. While many cafés offer a good choice of cakes, it is the cake shops that provide the icing on your vacation. Konditoreien are as popular as Kaffeehäuser. The difference: People go there to indulge in cakes and chats, less to read the papers or to surf on their smartphones. Unlike coffeehouses, cake shops do not serve lunch or savoury snacks. Find a shortlist and brief reviews in Cake Shops Vienna. Of course you get home-made local wine at a local winery. Apart from that, have you ever thought of a winery as an alternative to a restaurant? 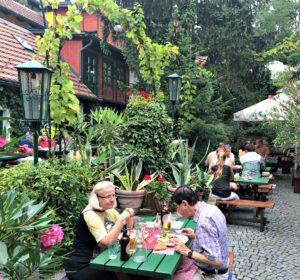 As for myself, I don’t necessarily have wine when lunching or dining at a Heuriger since that typical Austrian food there is reason enough to visit. The Schnitzel, roast pork, and cold meat and cheese platters along with that unique atmosphere perfectly legitimise a Heurigen visit. 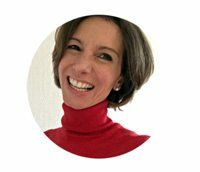 Access my top tips, a primer about the Heuriger, and a winery calendar in Vienna Wineries. While many travellers skip bars because of an evening concert or to put their feet up, they could easily explore Vienna’s thriving bar scene before dinner. Most of the best cocktail bars, American bars and jazz bars open when museums and attractions close, or even earlier. Although a few bars are non-smoking your best chance for clean air in the other bars is before 8.00 pm. Besides, the modernist, Art Deco and 1930s interiors of some establishments will extend your architectural insights! Find out more in Best Bars in Vienna. Since Austria’s capital celebrates the good life there is nothing wrong with adding extra wellness to your cakes. But where best to have tired legs massaged, backs embalmed, faces rejuvenated, and tummies toned? I have tested some of the best luxury hotel spas in Vienna, and found brilliant external day spas. Many also include elegant swimming pools for a good dive before or after your sightseeing. Read more in my Vienna Spa Guide.